Physician Burnout knocked me out of a successful career in small town family practice at the age of 40. 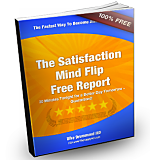 Here is an online interview covering my journey from doctor to entrepreneur to the launch of TheHappyMD.com. This interview is from Angela Schaefers; a speaker, writer and host of the inspirational interview series at her website yourstorymatters.net. 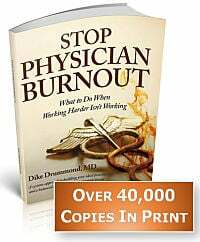 This physician burnout podcast audio was originally published here. Physician burnout is one version of a midlife crisis for most people. 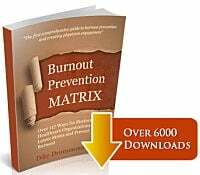 My career ending battle with physician burnout fourteen years ago has taken me on an entrepreneurial journey … a big loop back to serving the doctors with career threatening burnout just like me, back in the day. PLEASE LEAVE A COMMENT and let us know the most important thing you feel you learned by listen to this physician burnout podcast audio.